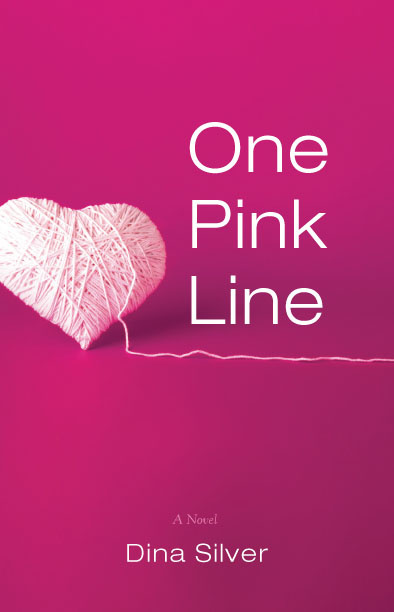 Can the love of a lifetime be forever changed by one pink line? Dina Silver’s tender, absorbing novel, One Pink Line, is the warmhearted, wry story of love, loss and family, as seen through the prism of one singular, spirited young couple who find themselves in a predicament that changes the course of their lives, and those closest to them. With heart, humor and compassion, this debut work of women’s fiction is certain to stir anyone who relishes a good laugh, can stand a good cry, and, above all believes in the redemptive power of love. This unique, contemporary story gives readers a dual perspective. Sydney Shephard, a sweet-tempered, strong-natured college senior is young, in love with an exceptional man, and unexpectedly pregnant. Faced with a child she never planned for, she is forced to relay this news to her neurotic mother, relinquish her youth, and risk losing the love of her life. Then there’s Grace, a daughter, who believed she was a product of this great love, grows to realize her existence is not what she assumed, and is left with profound and puzzling questions about who she really is. I’ve read many novels lately surrounding teenage pregnancy and unfortunately fresh in my mind was the last such story which was one of my favourite reads this year so far and was similar in certain respects including the daughter who struggles to comprehend her heritage. 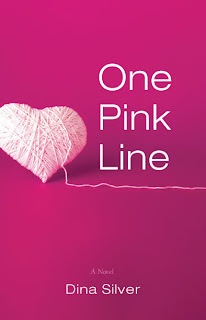 Regardless, One Pink Line was still an entertaining and enjoyable read even overshadowed by such a similar one that I loved as well as the crippling exhaustion I experienced during my recent move during which I attempted to cram this novel in. I really loved Ethan’s character, although I wanted him to get angry sometimes and not always be such a good guy. Sydney was a great girl to root for, even when I found her more on the selfish end and I worried throughout the whole novel what would happen to Grace when she found out the truth about her loving family and that her parents weren’t exactly what she thought they were. Sydney’s parents annoyed me initially but by the end I grew quite fond of them. Some of the scenes with baby Grace were spot on, especially during the block party which were particularly nostalgic for me, reminding me of the ‘meet the baby’ party we held when my niece and all my new cousins were born during the same year. The babies were passed around in a similar fashion and the love and fascination with the tiny creatures was palpable and Silver’s description was perfect. I do think this novel could have been a little stronger in several respects. There was too much ‘telling’ and not enough showing for my tastes with many ‘and then we did this’ type of scene instead of removing those ‘tags’ and creating actual scenes. It does state on the back that One Pink Line was inspired by true events, so if this was a retrospective look, I can see how falling into this type of telling might occur, but I think the story might have been stronger without it. I’ve seen this happen before with an autobiographical story in a much worse fashion, so much so that I couldn’t make it through 40 pages of that one, so One Pink Line was definitely much better comparatively and while I didn’t put it down, unfortunately at times it tended to lose me or pop me out of the story. I also found that there was not much difference between Grace and Sydney’s voices which confused me during many scene changes until I was able to figure out whose story we landed in. I also think I would have liked to have seen scenes told from Sydney’s point of view as an adult with her retrospective look at what occurred as opposed to just having her teenage voice tell her story. It might have broken up the voices slightly as they were so similar and given more maturity and insight as an adult into her teenage decisions and made her character more real as an adult instead of just seeing and hearing from her from Grace’s perspective. There were also some things that were skipped over which I found confusing - a prime example being how Sydney and Ethan went from heading off to different universities head over heels in love to suddenly not being as serious over the four years they were apart. No explanation was really given and no scenes were dedicated to this, which I found I really missed. It was glossed over with a brief explanation and I had to reread those three paragraphs and went – Huh? When did that happen? How did we get here? Fortunately I was never able to predict how Sydney and Ethan and Grace’s stories would end up and Grace never turned out like I thought she might which was a nice surprise about which I’d like to say more, but no spoilers. Her torment seemed real as did her desire to learn about her situation. In trying not to give too much away, I can’t expose more, but I enjoyed reading about the situation and how it affected all involved. Overall this was an enjoyable read and I would read another by Dina Silver, especially if it has another adorable cover! Thank you to Dina Silver for our review copy.